Yesterday marked the first order and production of the 1500GSHE SolarSheat. Protective coating remove and glazing tape added to side channel - reading for glazing. This weekend marked the first installation of the forthcoming SolarSheat 1500GSHE (High Efficiency) collector. Installation took place at a residence, ground mount, horizontal orientation southern exposure with duct work entrance through a false window into the basement. This system represents approximately 3 kW of heating. I took this shot over the weekend after moving the next generation prototype size of the Winter Garden(far right) beside the first prototype(middle unit) . The very first idea was the herb box(far left) which I planted a variety of herbs. Today marked the very first unit of the Winter Garden production. I completed the production model of the Winter Garden lite last week and shot various pictures of the unit in the shop and video outside. The Winter Garden lite is a half size gardening system based on the same principles of the full size Winter Garden. I had an opportunity to setup and plant the Winter Garden in the back courtyard. I added a drain, and water grid to test for automatic watering. Today we officially built the first SolarSheat 500 with tempered glass. The process is relatively the same as the polycarbonate model with the glass being cleaned before placing on the collector. I got home last night and picked fresh greens from the Winter Garden. I realized that there was something fundamental about this and took some pictures of the process. Just going outside after a long day and getting some food, shaking off the dirt from the greens gave a sense of this is mine and I grew this myself. I shot this video today on the Winter Garden. I checked the progress of the Winter Garden yesterday. Everything seems good and should have a crop to harvest in about 2 weeks. I watered everything twice this week due to the warmer temperatures. I worked outside most of the weekend and watered the Winter Garden. I checked the plants growing inside and most seem to being doing well. I planted the one half in February under cold conditions -15 C and the second have a week later. A customer who has a number of SolarSheat systems installed on his home in southern California recently sent me this photograph of the installation. Both external and internal shots. I checked the Winter Garden on late yesterday afternoon. It has been a cold week with lows at night to -15 C. Friday afternoon was +2 C. Everything growing well. Back in November I constructed two ruggedized 1000GS units for a customer in Antarctica. I wrote about this is a previous blog during the development of the two units. I did receive an image of the bridging station that the customer uses for transport between their final destination and where supplies are dropped. I found out the customer had been using two SolarSheat 1500G series units for a number of years to heat a shelter. The result is below. i have started the production of the first Winter Garden system. I am applying the same rules and process that was used in the prototype. The size has increased in depth but the length has remained the same. I am using a natural stain vs. a coloured stain on the prototype. This gives the unit a more natural look and feel. I have been working on a high performance air collector for over 5 years now. The result is the SolarSheat 1500GS HE (High Efficiency). Advanced simulation and modelling shows an efficiency between 75-80.2 %. 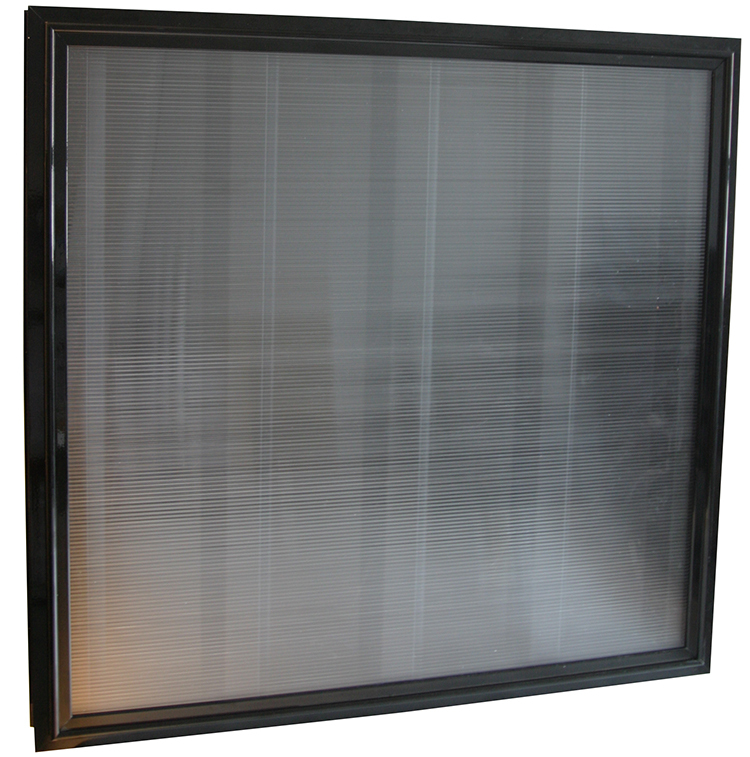 This is the result of five elements: superior absorber technology(TINOX), new glass, insulation material patented SolarSheat frame/mounting system and customized air direction technology. The SolarSheat 1500GS HE has the same great patented frame/ mount technology and along with these new elements can provide a 50% increase in efficiency. I expect the energy delivered can be 1.5 kW/hr or approximately 5000 BTU/hr on a clear sunny day. We had a big spring ice storm on March 24-25 2016 and it had rained over 12 hours continuously. Many people were without power in southern Ontario. I checked the Winter Garden today and found about 1 1/2 inches of crusted ice build up. I broke the ice and then opened to see if everything was still okay for my late spring harvest. Everything protected and cosy inside. The Winter Garden lid open after ice storm, Love the Winter Garden. During the winter (our off season at Your Solar Home of 2013) I had an idea to build two planters for my backyard out of some old material wooden crates so I could grow some herbs for cooking. I completed and installed in the backyard. I had decided to replicate the design and give one to my mother in the spring of 2014 for Mother's day. This attempt provide better than using old wood and purchased locally from the lumber supply store in town. After I completed the planter, I had some extra time between the SolarSheat production and decided to continue my woodworking venture. I had decided to compliment my backyard planters with a table and bench. This exercise continue to provide inspiration for my woodworking outdoor creativity for the home and garden. Several months went by and after the annual busy summer season and late fall of November 2014 I had a break through idea about a garden that could be used in the winter time. I asked myself what if people could grow food or vegetables in the winter time. i started to research this idea and build a prototype. I needed a good strong UV grade polycarbonate lid to make certain it could stand up to the environment and sun's intensity. I selected a 16 mm polycarbonate lid and cut to size. Next I need a material for the prototype that would allow for moisture. I selected rubberized coasting and applied. (note: I will be using a different coating in the production version). I started thinking about how you could not have to lift the lid so the system would automatically ventilate itself. I also determined that it was absolutely necessary to have no additional power source to run the system. With my experience with the SolarSheat I used the electronics and thermostat-sensor based technology.